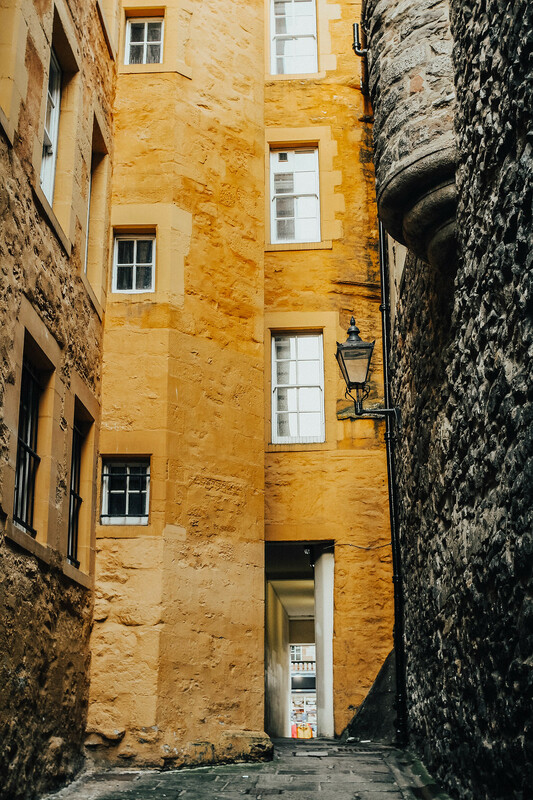 With Edinburgh’s history dating back to the early Middle Ages, it’s no surprise there’s a hidden tale waiting to be uncovered at every turn. Take a walk down the city’s many closes and secret passageways to explore it’s dark and mysterious past. 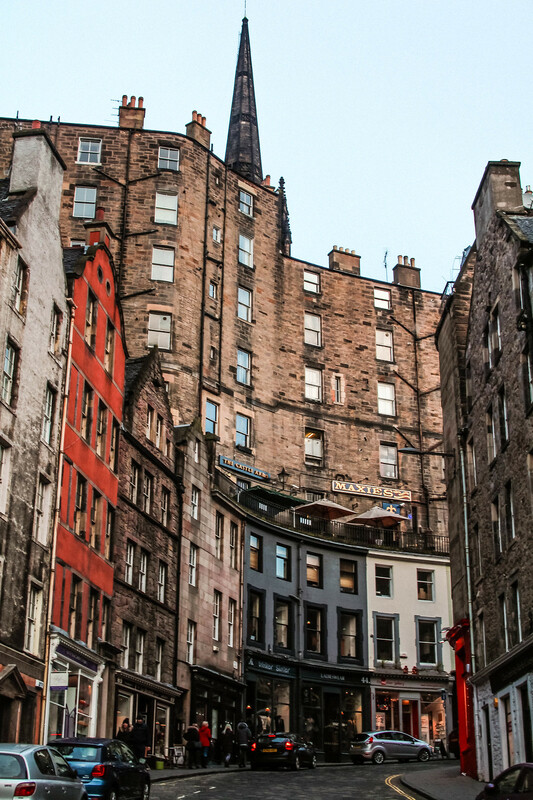 In the Old Town you’ll find the Royal Mile, one of the oldest streets in the city. 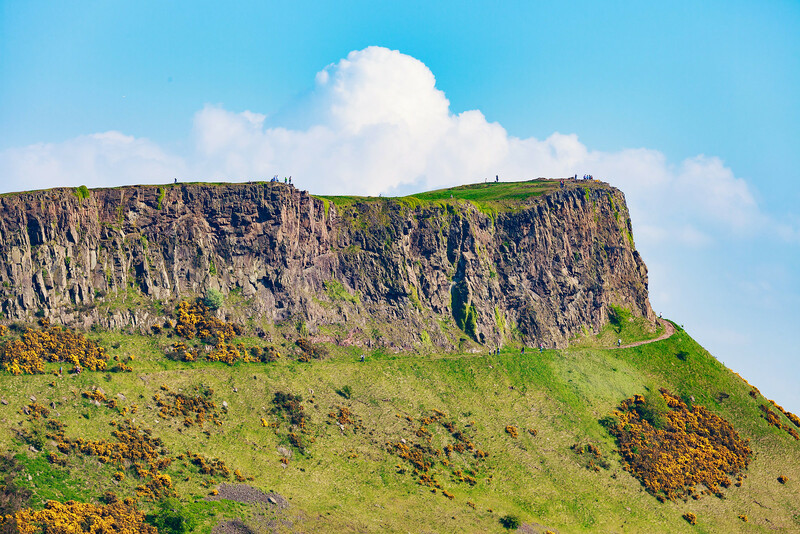 With Edinburgh castle perched upon a craggy cliff at the top, it’s not every day you’ll find yourself standing on the remnants of an extinct volcano. Everything from the grand to the intimate, Edinburgh is home to over 10 theatre and performance venues, so you’ll be sure to find something which takes your fancy all year round. Here in Edinburgh we also love a great knees-up, so get on your dancing shoes and try out a ceilidh, the most fun anyone can ever have whilst being thrown across the room by total strangers. 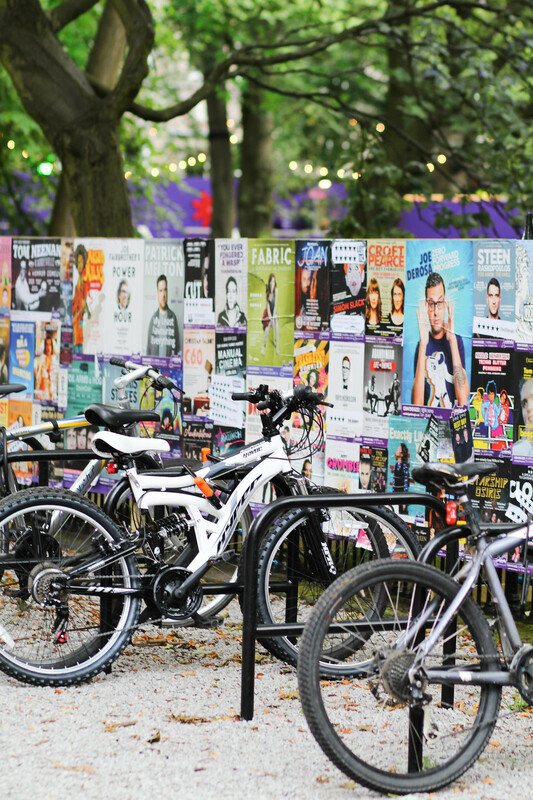 Home to the world famous Edinburgh Fringe Festival, the month of August sees the city transform to three times it’s population. Bursting with live theatre, musical performances, comedy and more. 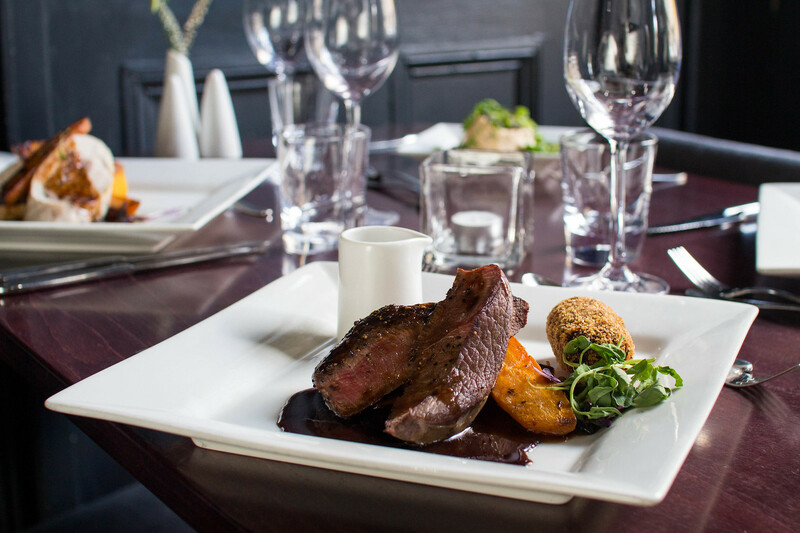 With it’s fair boast of Michelin star restaurants, Edinburgh is proud of having such a fantastic foodie scene. 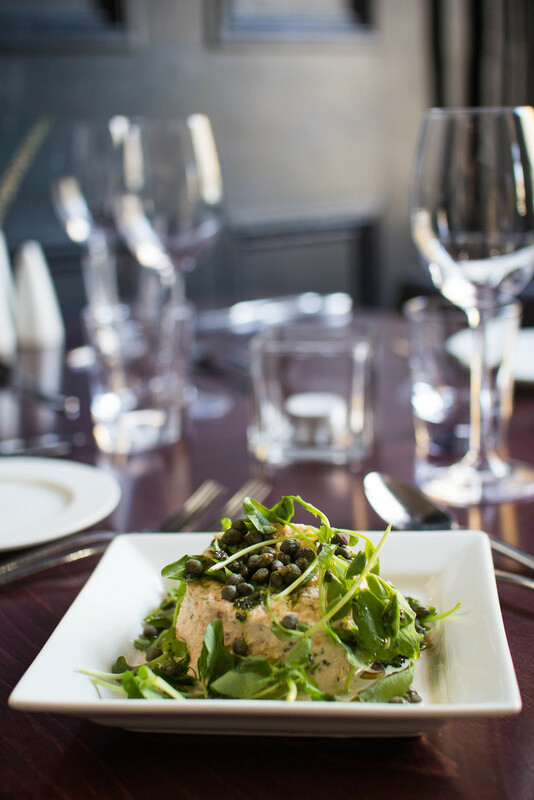 If you’re looking for a romantic meal, be sure to head to Number One for an evening of opulence and outstanding food. Another local favourite is The Kitchin, by chef and owner Tom Kitchin, who’s passion for locally-sourced Scottish produce with French interpretations, earned it’s accolade in just six months of opening. 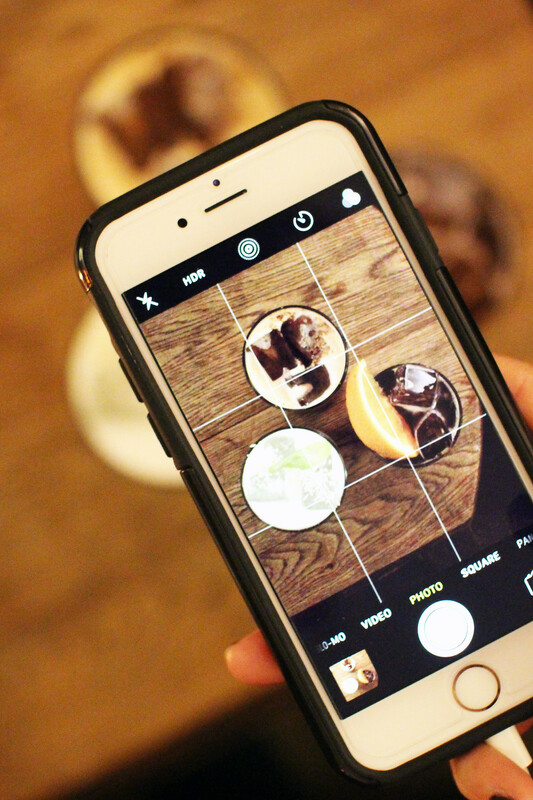 Outside of Michelin star restaurants, you’ll also be sure to find a great selection of independent restaurants and cafe’s to suit your tastebuds all throughout your visit. For some of the best views over Edinburgh whilst you dine, head to The Tower where it’s hard to tear your eyes away from the skyline long enough to look at your plate. In the mood for a wee tipple? 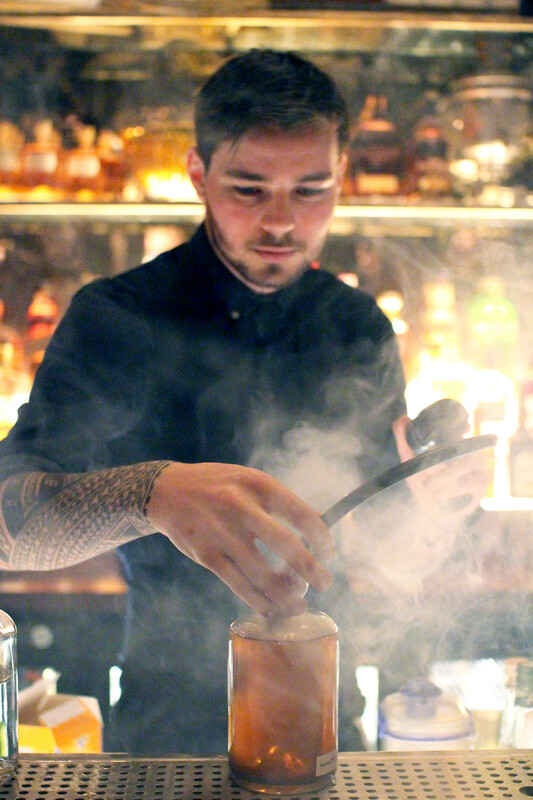 Cocktails are big business in the city. If you’re looking for something a little different, head to Panda & Sons, an otherwise rather unassuming barbershop speakeasy, where you enter through a bookcase into a whole other world below. Offering a more cosy intimate affair, Under the Stairs is a hidden gem basement bar and locals favourite. With candle-lit lighting and huge armchairs to sink into, it’s perfect after a day’s exploring. 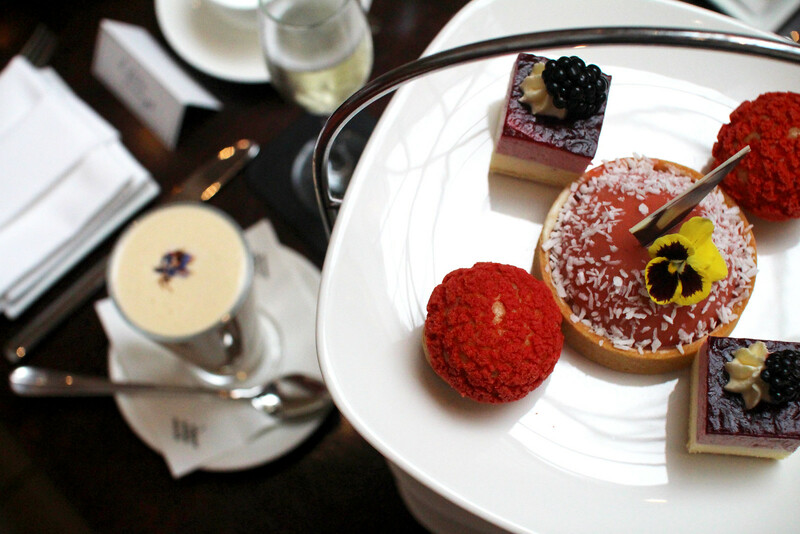 If you’re looking for something a little different, why not experience afternoon tea for two? 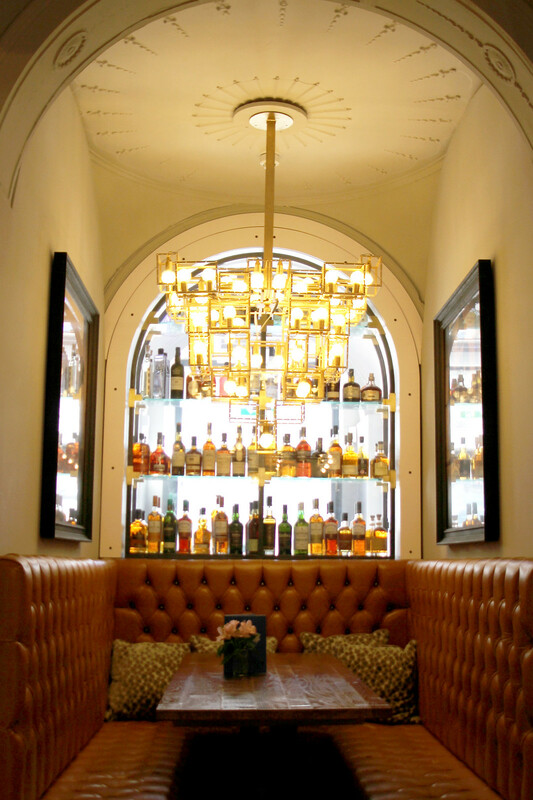 Head to The Dome on George Street to experience one of it’s several dining rooms, or for the ultimate luxury be sure to book a table at the Signet Library. The Caledonian at the Waldorf Astoria is also home to several restaurants, including the luxury Pompadour by Galvin and Peacock Alley for seasonal luxury afternoon tea. Even as a local, I’ll often still find myself in awe over the beauty of the city’s skyline. Edinburgh is a small and compact city, but it packs a mighty punch. How many other places in the world can you climb an extinct volcano in the heart of the city centre? Or where the sea is just a short bus ride away across town? Explore the effortlessly cool and urban area of Leith out by the Shore, feel the sand beneath your toes at Portobello, or visit the Highland Cows upon the Pentland Hills surrounding the city. Some of the best views across Edinburgh are within walking distance, if you know where to look. 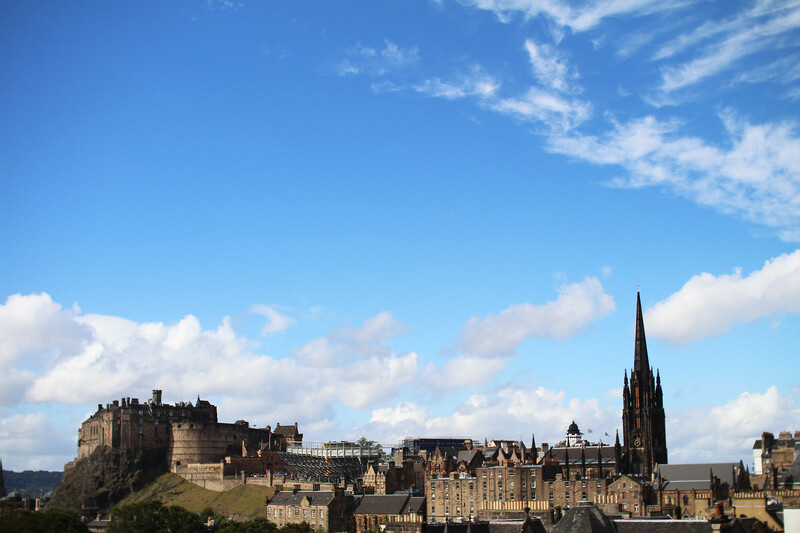 Head to the roof terrace on the National Museum of Scotland for panoramic 360 views out to the castle and beyond. 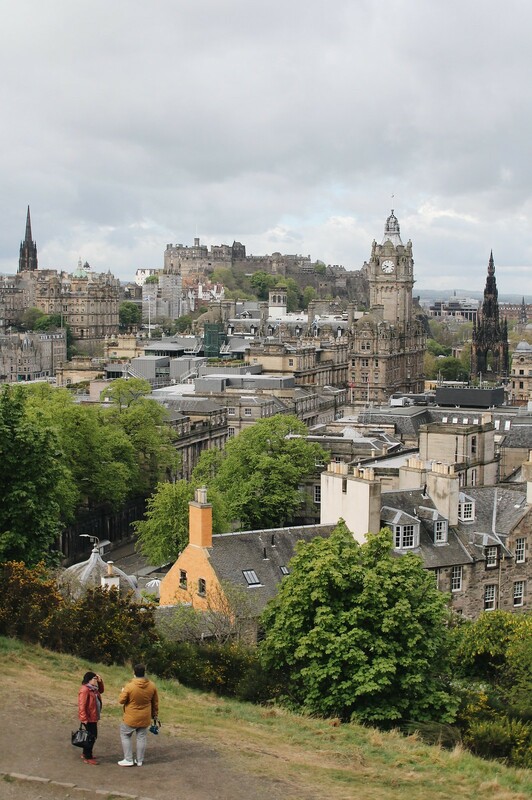 Or take a short climb up Calton Hill at the end of Princes Street for ‘that’ guidebook photograph across the skyline. There’s a joke amongst locals that every season in Edinburgh, is tourist season. We’re proud of our city and love to point tourists on their way to all our favourite little gems and share in the knowledge of everything that makes Edinburgh great. You’re never far from the sound of bagpipes filling the air here, or the wit and humour from locals and fellow Scots alike. Although you may find yourselves caught in the rush of the daily commute, there’s a fantastic work-life balance here. There’s nothing better than an evening at our favourite local pub or restaurant catching up with friends and loved ones. We’re friendly folk, chat to us and we’ll tell you a story or two. You might even bump into the likes of Ian Rankin down at the Oxford Bar, or J K Rowling enjoying a walk through the Meadows on a sunny day. Alongside it’s vast history and secret passageways and closes, Edinburgh is home to it’s fair few hidden gems. 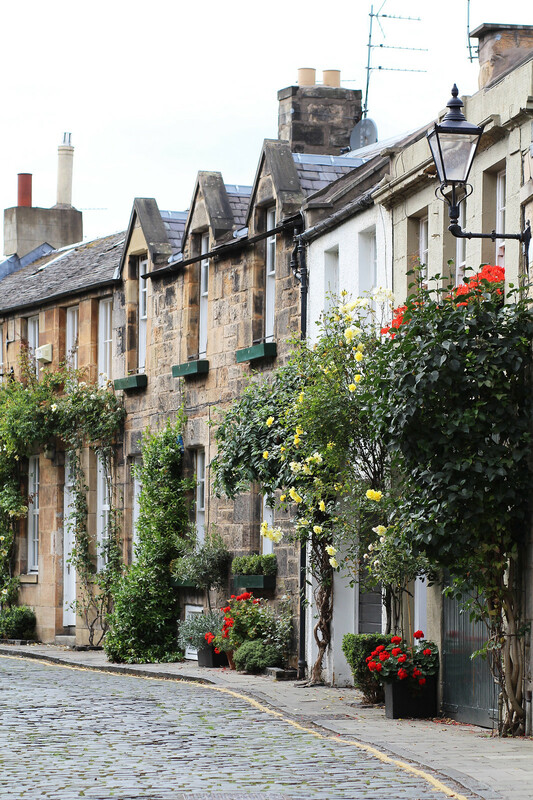 Gaining in constant popularity now it’s secret is out from the clutches of locals, the Dean Village is a must visit to escape the hustle and bustle of city life above. Take a walk along the Water of Leith and follow it through a village back in time, leading to the urban village of Stockbridge. On Sunday’s you’ll find the local produce and craft market selling it’s wares in the heart of the community. 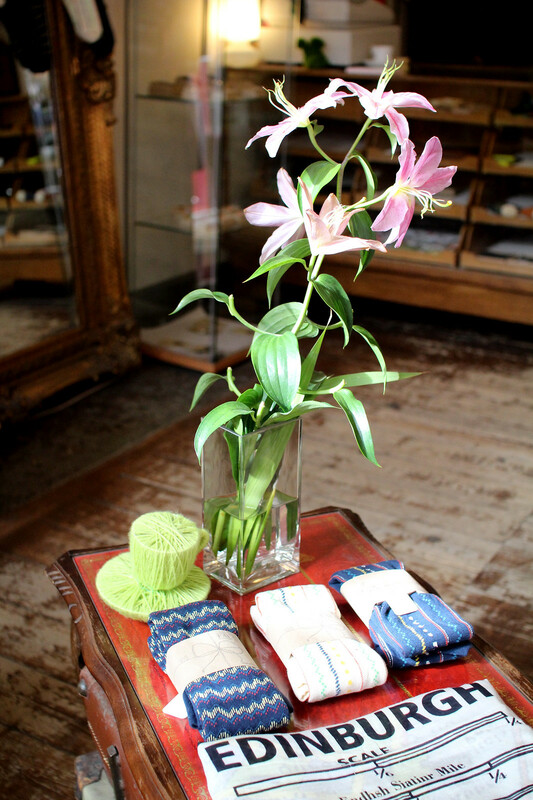 Home of an abundance of independent shops and cafes, you’ll be sure to find something to take your fancy. Be sure to visit the most beautiful street in all of Edinburgh, Circus Lane. Lined with pretty little mews houses and post-card perfect settings lined with cobbles and blossoming flowers. 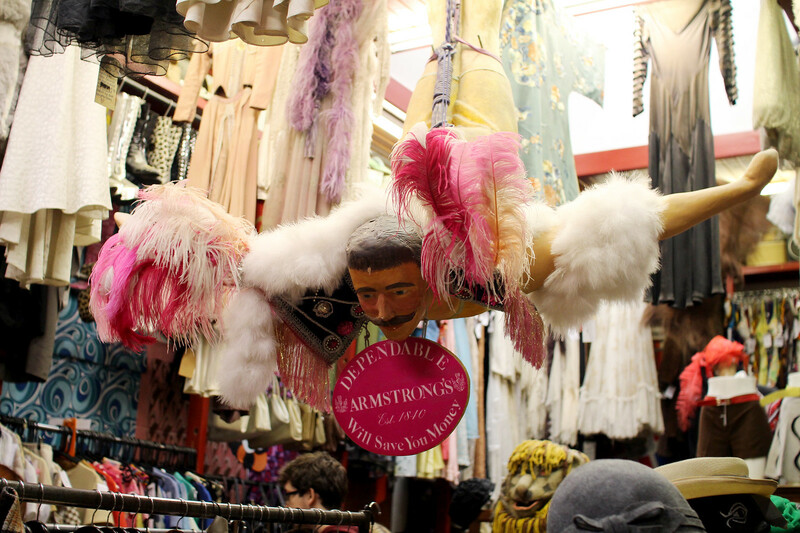 With an eclectic mix of vintage, boutique, independent and high-street stores, Edinburgh offers something to suit everyone. Whether you’re in the mood for a dapper Harris-Tweed suit on Victoria Street, or a throwback vintage piece from Armstrongs, the Grassmarket is the place to be. On Princes Street you’ll find a host of high-street stores. If you’re looking for an excuse to treat yourself, be sure to visit Multrees walk and George Street to shop your way through the likes of Mulberry, Louis Vuitton and Harvey Nichols. With over 13 free museums and galleries, Edinburgh is packed full of attractions for you to explore. 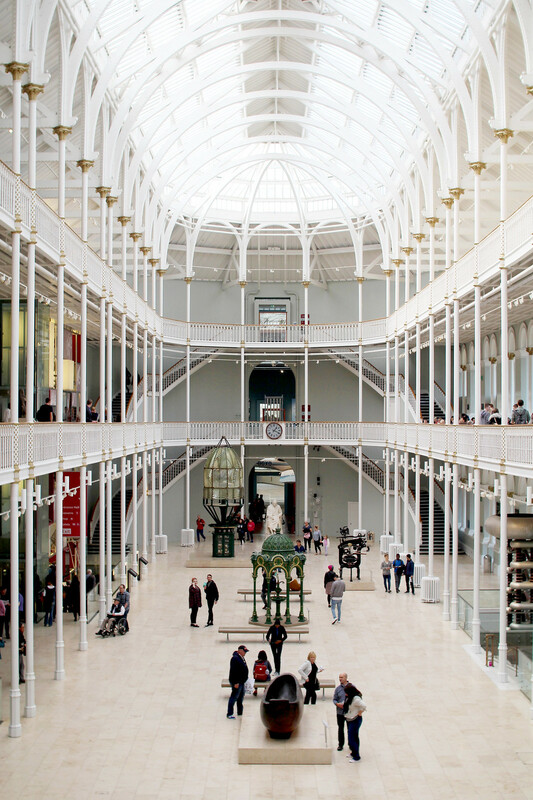 One of the most beautiful museums is the National Museum of Scotland, on Chambers Street just a short walk from the Grassmarket and Royal Mile. Great fun for adults and children alike, it's easy to lose yourself here for a full afternoon’s exploring. Be sure to head to the roof terrace on top of the museum for one of the best views over the city skyline. In the West End you’ll find the modern art galleries, with ever changing exhibitions and installations, you’ll never be bored of returning time and time again. If you're feeling a little nostalgic, why not visit the Museum of Childhood on the Royal Mile for a walk down memory lane? 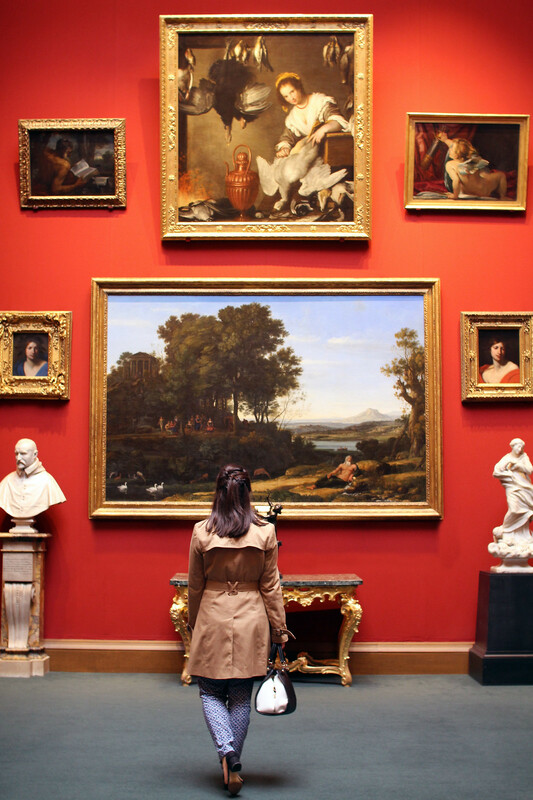 The Scottish National Gallery on the Mound is home to a mix of classical and contemporary artwork, appealing to all tastes. As well as Edinburgh’s many fantastic bars for a tipple to take your fancy, it’s also home to a whole host of late night venues. For comedy head to The Stand on York Place, though be sure to book a ticket to ensure a spot! 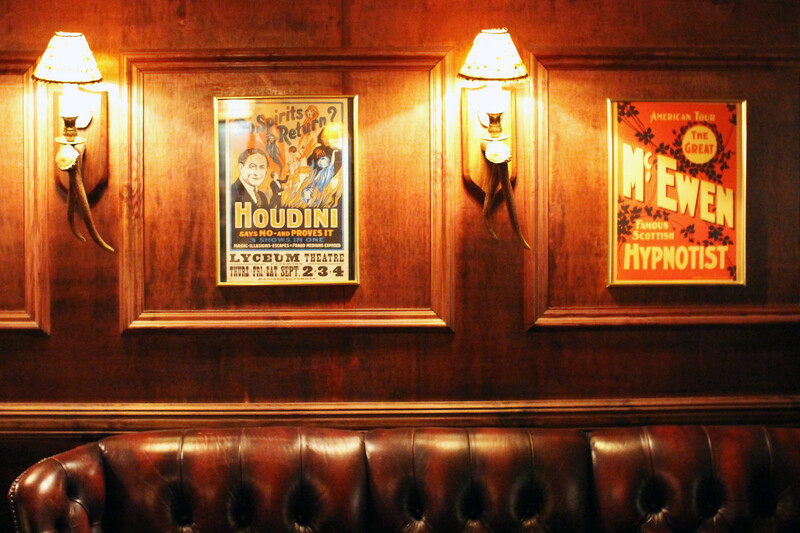 A hotspot for celebrity comedians, you never know who might be dropping in to say hello. If you’re in the mood for music, try the Jazz Bar on Chambers street for a night of live music in one of the coolest underground venues Edinburgh has to offer. In the mood for dancing? Head to George Street to take your pick from one of the many nightclubs Edinburgh has to offer. With the likes of Arthur’s Seat on it’s doorstep, Edinburgh proudly boasts a huge amount of green-space. Enjoy a gentle stroll down the Union Canal, admire the blossom trees which line the Meadows, or if you’re feeling the challenge - why not hike to the top of Arthurs Seat or Salisbury Crags? 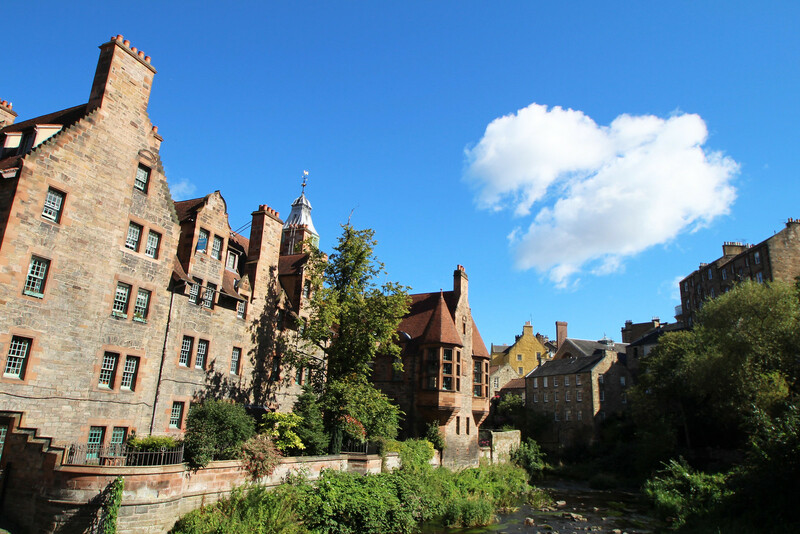 For a more urban walk, head down into the Dean Village and follow it through to Stockbridge and the Royal Botanical Gardens, where you can watch the sun set across the city from Inverleith Park. Or take a short bus out to the Pentland Hills which surround the city, it’s here you’ll also find our friendly Highland Cows admiring the view below. Fancy falling in love with Edinburgh yourself for a romantic city break? There are frequent, affordable flights from all over the UK with Flybe*, ready to whisk you away in a heartbeat. This post was in collaboration with Flybe, all content and views are my own.